“For years we put up with an old telephone system (PBX) in our company that broke down and we must have paid out many times its value in keeping it going. Then a mutual friend mentioned that we should contact TeleSpeak. Long story short is that we now have complete control of our own company telephone system provided by TeleSpeak. It is based on an open source Asterisk system, there is nothing proprietary to worry about and we don’t need to pay third parties for overpriced fixes, changes or enhancements. We have a hot spare server if something does go wrong that we can switch over to in a few minutes and all the hardware is freely available from a wide variety of suppliers including TeleSpeak themselves. 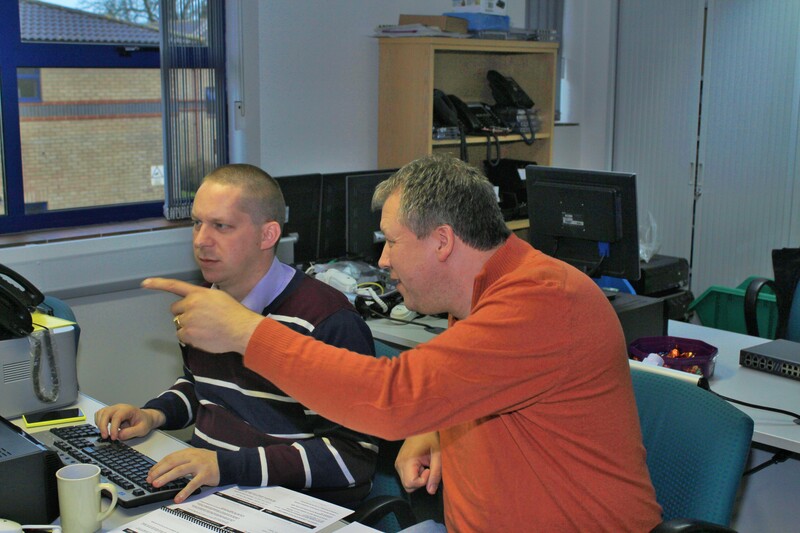 Having had training from TeleSpeak we can now program the system ourselves but if there is anything at all complex we know we can rely on David and Mike to help us out – over the phone or on-line. And if all this wasn’t good enough, Asterisk is also SIP compliant so we also have a future proof system that will allow us to easily migrate to a Voice Over IP system when our village broadband speed becomes fast enough. Well where do I start with Telespeak… I needed a new phone system. This wasn’t just any old phone system, this system needed to be fully flexible and work like no phone system we had ever had before. Our company just kept growing and growing so we needed a system that would grow with the company. I had been badly let down by another firm and was recommended Telespeak. So I got straight on the phone and told them what I wanted… “no problem, give me a few days to go through everything and I will be back to you”. A few days later I had just what I needed. I then made a couple more changes to the system as I had another system I needed the phone system to talk to. The response “No Problem”. As you can see the pattern is clear with Telespeak. There is never a problem just a solution. David has been an absolute pleasure to work with and to have been trained by. The service and knowledge is second to none, and they’ve gone above the call of duty for me more than once when I have had an emergency. If you want a phone system that is reliable and will suit your budget and requirements, then don’t bother with the rest because you won’t find a more honest, reliable and decent company out there than Telespeak!! IMS used Telespeak a few years ago when we switched to a VOIP system, the customer service they provide is exceptional, any issues that we have they are there to fix it in the same day! Would definitely recommend. Michelle Niziol, Managing Director, Independent Mortgage Solutions (Bicester). “I have worked with David many times over the last few years, resolving Integration queries using the Xorcom Asterisk IP-PBX for our Network. They have proven to be a great asset both in reliability (essential for an enterprise system) and the fact that the systems are totally flexible in their configuration for the required solution. David is an absolute marvel. His knowledge of Asterisk is vast and every query is resolved quickly and professionally, not just a theoretical but a hands on practical approach, which is easy to follow. Paul Concannon, Telecoms Engineer , Odyssey Systems. You can see more endorsements from TeleSpeak training clients here.